Making use of FALKEN’s patented Dimple Sidewall technology, FALKEN have endowed their latest high performance summer tyre with the ability to continue on the road for a distance of at least 80 kilometres at 80km/h. Additionally, there is no need to carry a spare wheel, which reduces the payload, saving fuel and freeing up boot space. The ZIEX ZE914 ECORUN Runflat affords users all the characteristics of the standard ZE914 – exceptional levels of performance, comfort and safety – while providing the additional peace of mind that only a runflat tyre can provide. 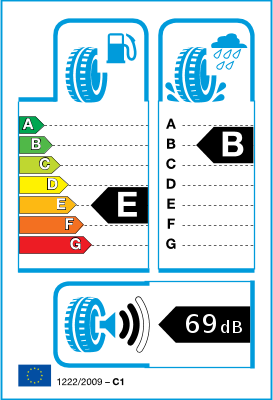 The RUNFLAT* technology of these tyres dramatically improves road safety by ensuring that the vehicle does not lose control even after a blow-out. Their ‘limp-home’ function allows drivers to continue on the road for a distance of at least 80 kilometres at 80 km/h. In addition, there is no need to carry a spare wheel. This reduces the payload, saving fuel and freeing up space in the boot. 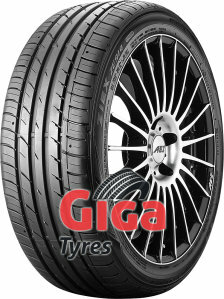 * Only mount on vehicles with TPMS (Tyre Pressure Monitoring System).